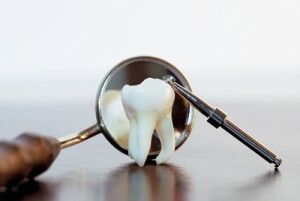 From time to time, it happens—whether because of an injury, poor oral health, or some other reason, you need a tooth extraction. Thinking about it can be depressing, but the alternative isn’t any fun either. If left untreated, the infection from a compromised tooth can spread to nearby teeth that may be healthy, causing serious problems later on. What’s more, a tooth in this position could also be putting the brakes on another treatment or procedure you need. All of which is why tooth extraction is one of the services offered at Complete Cosmetic Care Dentistry. Drs. Mohanna and Georgy work hard to make the tooth extraction process comfortable and simple. We’ll create a fully customized treatment plan based on your needs and what will work best for your smile. Do you need to have one or more teeth extracted? Call us today to schedule an appointment. Our Sapulpa dental office serves patients from Tulsa, Bixby, Glenpool, Jenks, Okmulgee, Mounds, and Keifer communities.